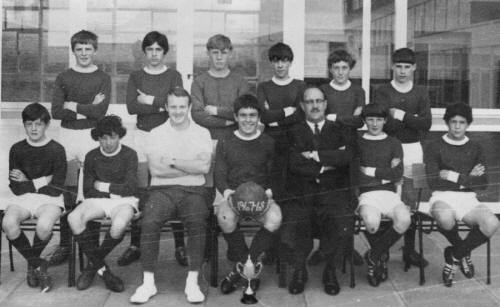 Bishop Hedley - Fete & Gala Cup Winners - 1967c. Paul J. Lewis says, "I too was a pupil of Bishop Hedley High school the first year it opened, and remember John very well. 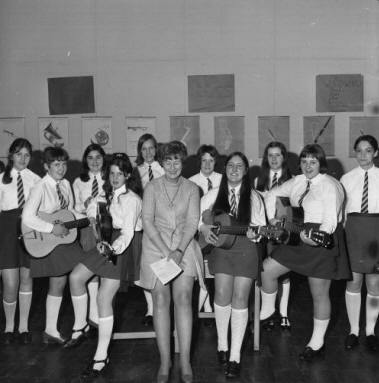 It was also great to see the old photos of the school teachers, it brought back great memories. 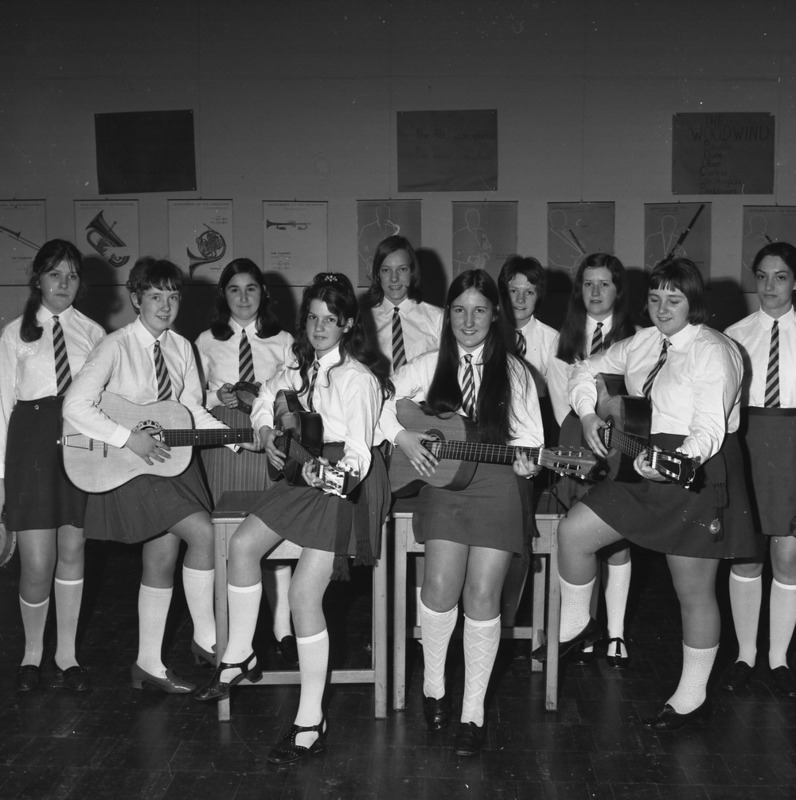 I have found 2 old sports photos of school teams in my first year at school. I think it was 1967. The captain of the school Football, team was John Murphy from Aberdare who went on to play professional football. 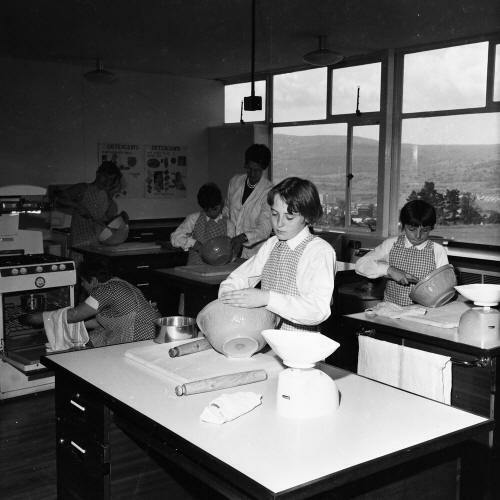 Goalkeeper Anthony Jabronski came back to the school at a later date as a teacher. Danny Horrigan is now a successful local business man with Thomas & Davies. 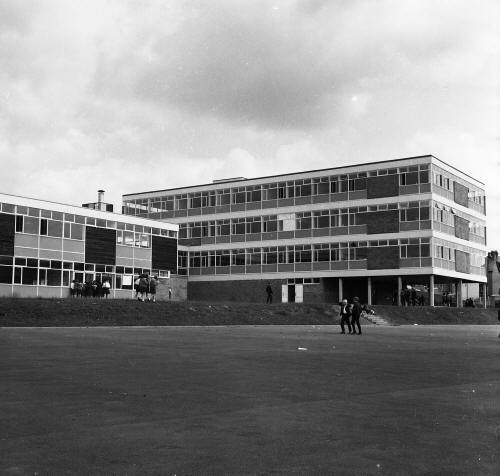 P.E Teacher Stan Addicot who left the school to take a post up at Swansea University. The cup in the photograph was won at the local Fete and Gala were we beat arch rivals Afon Taff in the final." 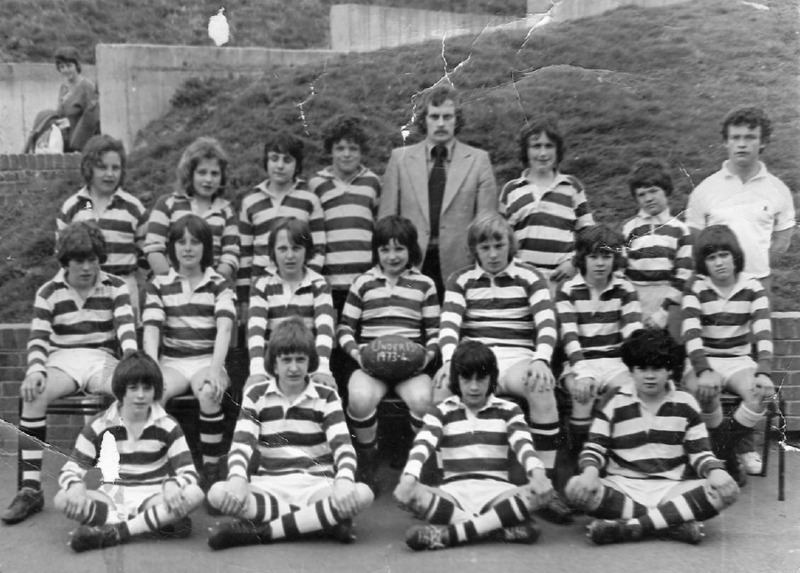 Back Row L-R: Paul Lewis, Michael Cusack, Anthony Jabronski, Tony Hurley, Jackie Williams, Danny Horrigan. 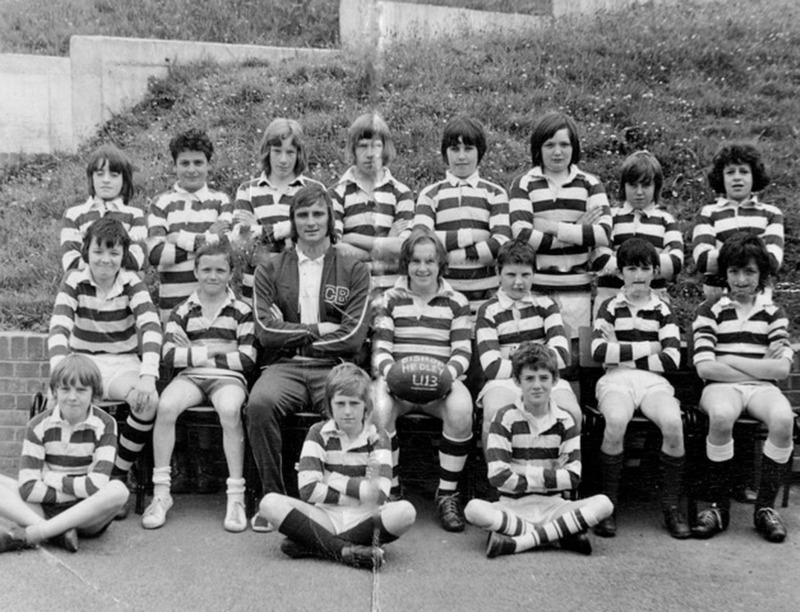 Mr. Frank Lane (Headmaster), Colin Murphy, Mario Minoli. 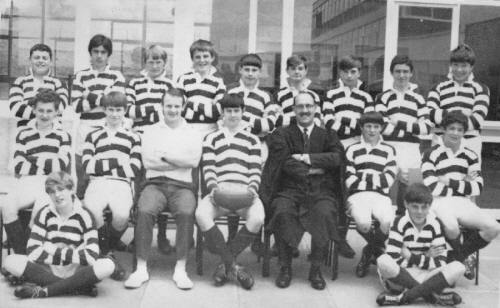 Bishop Hedley - Rugby Team - 1967. Colin Murphy & Mario Minoli. 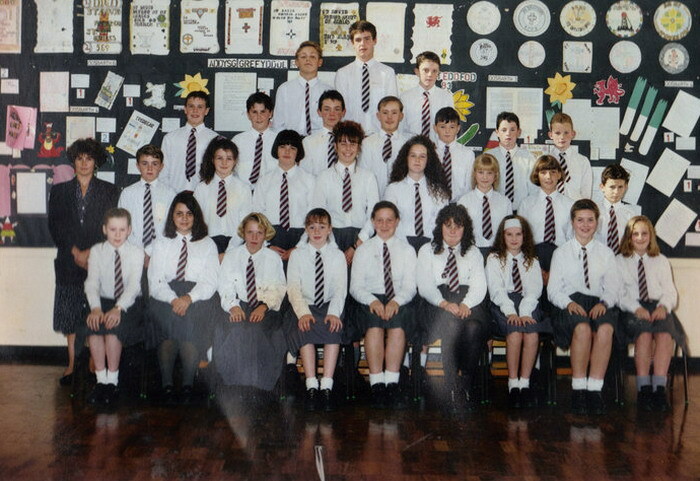 Front Row Sitting L-R: Kevin Burke & David Bennet. .
Back Row L-R: Judith Evans, ?, Geraldine Murphy, ?, ?& ?. Bishop Hedley Rugby Team - 1972/73 Season. 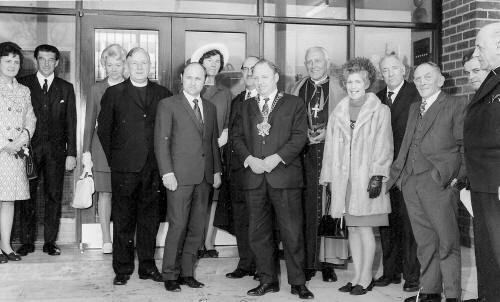 Do you have any photographs or information relating to Bishop Hedley R.C. 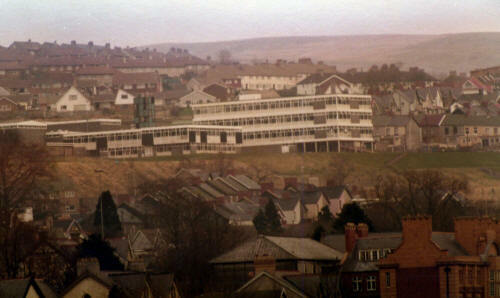 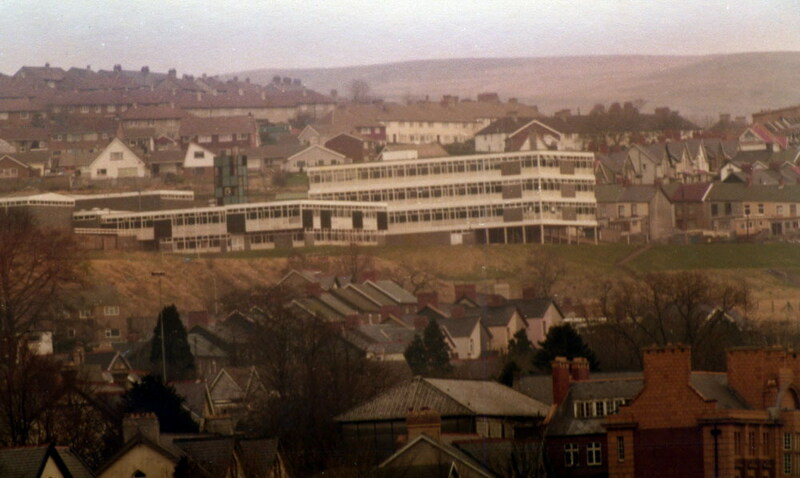 School, Merthyr Tydfil?